Electric Moccasin » Blog Archive » Who did it? Who knows? September 14th marked the 60th anniversary of Charles Lindbergh’s published account of his historic flight. So—what do you think? 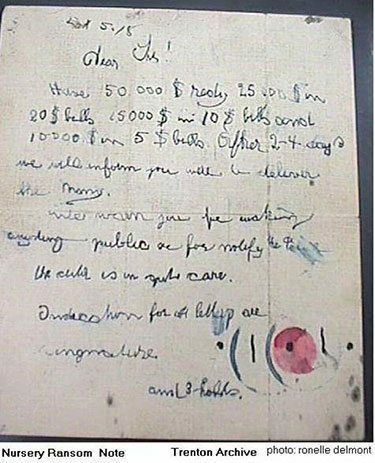 Was Hauptmann the kidnapper? If so, did he work alone? If not—was it an inside job? A funny family prank that went horribly wrong? A well-organized caper by a gang of professional criminals? There are many theories. There are few reliable clues. There are no eyewitnesses. 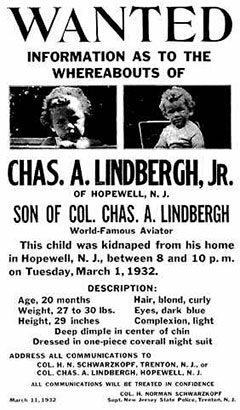 Here are some links where you can explore the life and work of Charles Lindbergh as well as to ponder what might have happened on that windy night in Hopewell, NJ, March 1, 1932. Tell us what you think! And now you’ve put another book on my TBR list, Jen! Fascinating to ponder the clues, the time period. Our children’s literature book club, “chapter and verse” (a national book club meeting at various local independent bookstores around the country…see “winding oak press”) read The Trial and gave it rave reviews….we all learned much.